Having fun is scientifically proven to have tremendous health benefits. When you are a child there are endless opportunities to be creative, and to let the imagination run wild. Adulthood is inevitably followed by increased responsibility which, unfortunately, often means fun taking a back seat. Many adults consider play to be a waste of time, believing time should be spent on more fruitful and productive endeavors. Play, however, produces numerous benefits for both the mind and body. Play begins in childhood as a form of communication. Children learn the concept of sharing and many other valuable life skills through play. Play can basically be defined as any purposeless activity that generates joy for the participants. Play should be enjoyed by people of all ages, providing many health benefits for seniors. Play serves to keep the brain engaged and active, increasing overall brain function. Integrating as many fun activities as possible into your daily routine has positive effect on an individual’s mood. The social aspect of play helps keep our brains sharp through interaction with others. Play increases our levels of satisfaction and pleasure, which allows us to relax and enjoy ourselves. Playing with others usually results in laughter. Laughter not only makes us feel good, but also serves to form a bond between the people that share it. 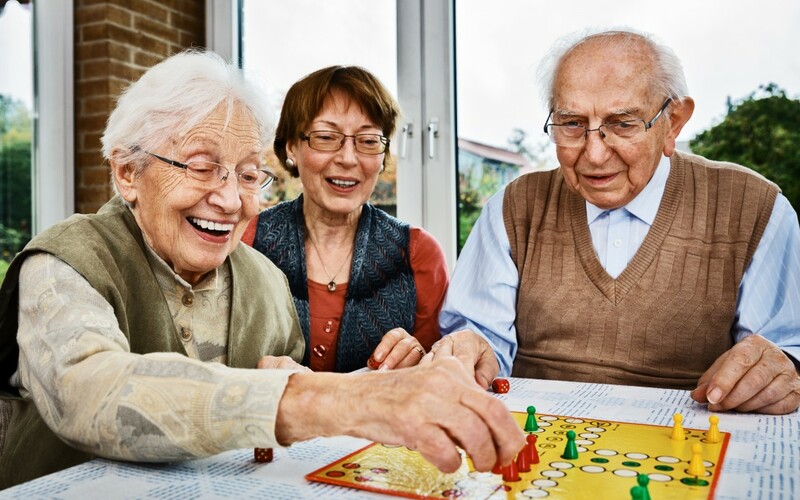 The physical, mental, and emotional difficulties that come with aging can be offset by play and fun activities. What is Your Fun Activity? When it comes to play, there is something for everybody. You just have to find an activity that works for you. At Retire-At-Home Toronto our caregivers will not only help you find fun activities to engage in, we can also provide companionship in carrying out these activities. Please contact our office for more information.